You hear all the time that this is a terrible time to be an investor. Maybe it’s after the fallout of some scandal, Enron and Worldcom from the early 2000s or Bernie Madoff from 2008 come to mind. Or maybe it’s that the market is evolving and people caught on the wrong side of that start to complain. 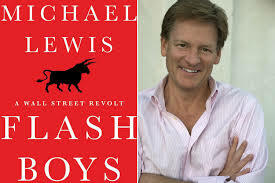 Last year Michael Lewis published Flash Boys which looked at high frequency trading. One of the takeaways was that Wall Street giants were rigging the game to their advantage at the cost of smaller investors. I absolutely believe the reason we haven’t had another Great Depression, including the Great Recession where we emerged largely unscathed, is because our central bankers are a lot smarter. Paul Volker, Alan Greenspan, Ben Bernanke, and Janet Yellen all studied the Great Depression and other financial disasters and learned what those people did wrong and how similar fates can be avoided in the future. That understanding has saved us a lot of pain. Fascinating. 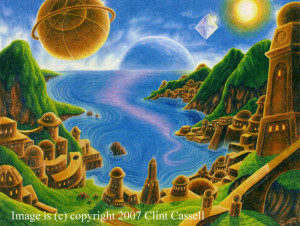 Your optimism appears to be based on facts. And in the long run, it’s only money. Right? Has this new found information or increased understanding lead to more success of individual investors or has the rising tide carried all ships and thus evened out those wins?